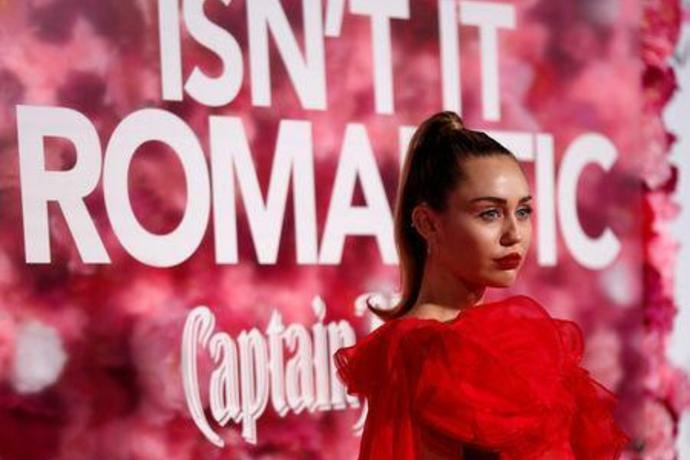 LOS ANGELES (Reuters) - Newly married pop singer Miley Cyrus stood in for her Hollywood actor husband Liam Hemsworth on Monday, attending the premiere of his latest film "Isn't It Romantic" on his behalf as he was unwell. Dressed in a red floor length gown, complete with a train, the "Wrecking Ball" chart-topper posed for pictures and chatted to journalists alongside Hemsworth's co-stars in the romantic comedy, Rebel Wilson and Priyanka Chopra. Asked what the most romantic thing she had ever done was, Cyrus, who married Hemsworth in a quiet family wedding in December, said: "Maybe it's what I'm doing -- I'm here...all dressed up with no date to promote my man's movie, so that's pretty good. He owes me." "[We] entertainers have a really hard time taking care of ourselves," Cyrus said. The movie was extremely important to Hemsworth, "so I had to be here to represent it," she added. 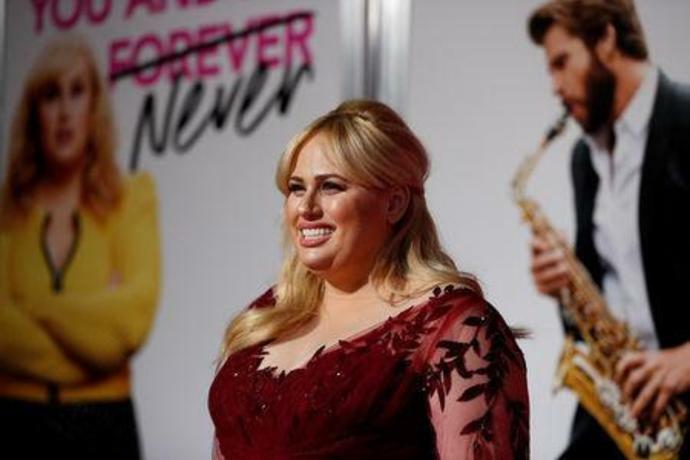 Hemsworth, known for "The Hunger Games" films, apologised to fans for not making it to the Los Angeles premiere on social media and thanked his wife for stepping in. "Sorry I couldn't make it...tonight guys. Been dealing with some pretty annoying health stuff the last couple days. Lucky I have the best girl in the world to represent for me!" the actor wrote on Instagram. NEW YORK (AP) - Justin Bieber, Ariana Grande and Leonardo DiCaprio have joined rapper-comedian Lil Dicky on a new song and video aimed at bringing awareness to climate change and Earth Day, which is Monday. The rapper&apos;s new song "Earth" is a little too explicit for kids, but the message is critical. So can we please get a kids&apos; version? !